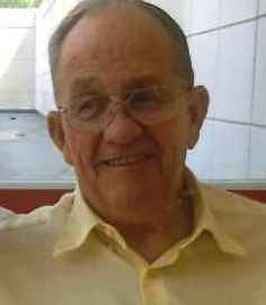 Harlan G. Doty Sr. 82, of Dubuque Specialty Care and formerly of 2700 Matthew John Dr. and 2943 Washington St., passed away Tuesday, October 23, 2018 following a long battle with dementia. Funeral services will be held at 10:30 a.m. Monday, October 29, 2018 at Holy Spirit Parish Holy Ghost Church with Rev. Andrew Awotwe-Mensah officiating. Burial will be in Linwood Cemetery with military honors accorded by the American Legion Post #6 of Dubuque. Friends may call from 2:00 p.m. to 7:00 p.m. Sunday, October 28, 2018 at the Egelhof, Siegert & Casper Westview Funeral Home and Crematory, 2659 JFK Rd. where a parish scripture wake service will be recited at 6:30 p.m.
Harlan was born on March 25, 1936 in Dubuque, Iowa, the son of Harold and Madeline (Blakeman) Doty. He was a graduate of Dubuque Senior High School and a U.S. Navy veteran. On October 9, 1956, Harlan married Kathleen "Kay" Droeszler at St. Patrick's Church, Garryowen, IA. Harlan was a dedicated machinist for John Deere Dubuque Works for 34 years. He was involved in ergonomics, recreation committees, a union steward, and you were blessed to have him tell you one of his many John Deere stories. He was a very proud union man. He retired in 1994, and then spent the next 20 years as an ambassador "tour guide" for the company. Playing baseball was an important part of Harlan's life. He played for Dubuque Senior High School in his early years and then coached his son's and grandson's teams. In 2004, Harlan received the Lifetime Achievement Award from the Dubuque Independent League for his dedication and involvement in the league from 1968 to 2004. On February 4, 2012, he was inducted into the Dubuque Area Labor Hall of Fame. Harlan was a member of Holy Ghost Church for over 60 years, the UAW Local 94 and American Legion Post #6 of Dubuque. He coached for many years in the Independent League and the Dubuque semi-pro league. He also volunteered for the Washington Tool Library and North End Neighborhood Association. Most of all, Harlan enjoyed the many hours with his family on the river floating in their pontoon houseboat. We are very much in sorrow at the loss of our dear husband, dad and grandpa, but we feel thankful and comfort in knowing that he is free from health issues which has plagued him for many months. Surviving are his lovely wife of 62 years, who he dearly cherished, Kay of Dubuque; his children Harlan (Becky) Doty Jr., James (Shari) Doty and Jil (Mark) VanCleave all of Dubuque, Jeff (Shelly) Doty of Runnells, IA, Jodi (Colin) Sweeney of Dubuque, IA and Sandy (Jeff) Wall of Holmen, WI; his grandchildren Jacob (Morgan) and Luke Doty, Eric, Megan and Ryan Doty, Haley and Conner VanCleave, Liz Smith, Caitlin, Carsen and D.J. Doty, Austin Jennings, Tiffany Doty, Dylan and Morgan Sweeney, Mikayla, Kelsey and Emily Wall; his great grandchildren, Adriana and Alaina Smith. He was preceded in death by his parents Harold and Madeline Doty; step-mother, Arnolda (Zenner) Doty; an infant brother; and his mother and father-in-law, Ralph and Imelda Droeszler. Memorials may be given to the Harlan Doty memorial fund or Hospice of Dubuque. The Doty family wishes to extend a special thank you to the entire staff at Dubuque Specialty Care, especially Sally, the Hospice of Dubuque team and Dr. Matthew Kirkendall and Kate for all their incredible care and support. 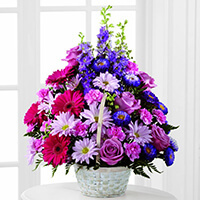 To send flowers to the family of Harlan Doty Sr, please visit our Heartfelt Sympathies Store. My thoughts and prayers are with the family. Harlan was one of the original "Ward Cleavers" as far as being a great family man! Kind and generous from the first time I met him, he will never be forgotten. You will be sadly missed. God bless. The McCoy NationaLease sales team passes along our condolences. Thoughts and prayers are with your entire family. Enjoyed all the chats with Harlan during the UAW Outings at Timberline. He will be missed.